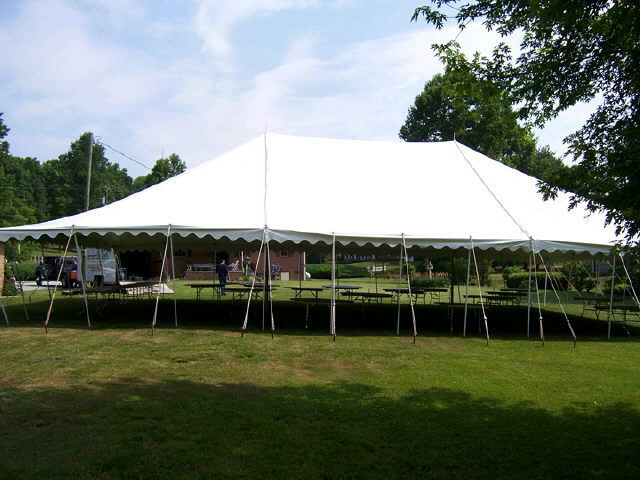 THIS IS A 40 FOOT WIDE POLE TENT THAT IS FESTIVAL OR UTILITY GRADE. IT CAN BE INSTALLED ANY LENGHT FROM 40'X40' TO 40'X140' IN TWENTH FOOT INCREMENTS. THIS TENT IS FOR SALE. PLEASE CALL FOR PRICE IF YOU ARE INTERESTED. IT WOUD MAKE A GREAT FIREWORKS TENT.